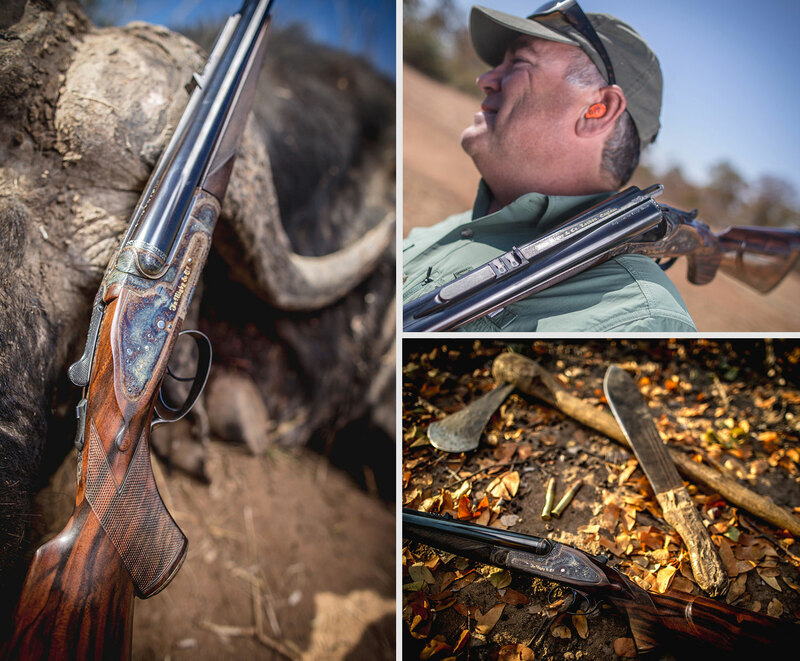 The Rising Bite Double Rifle - John Rigby & Co.
Having an immensely strong action and being exceptionally challenging to make, the Rigby Rising Bite Double Rifle is a truly exceptional rifle. After a break of more than 80 years, John Rigby & Co. has resumed building the iconic Rising Bite Double Rifle. So called because of its unique vertical-bolt locking system, the Rigby Rising Bite was and continues to be one of the most famous double rifles ever to have been made. The precision demanded to produce a Rising Bite double rifle represents a unique test of a gunmaker’s skills. Each one of the new Rising Bites will have taken up to three years to produce, making them a once-in-a-lifetime purchase for collectors and connoisseurs. Increasing manufacturing costs meant that regular production at Rigby ceased in 1910, after around 1,000 had been produced. The last custom order original Rising Bites left the factory in 1932. These were a pair, in .405 Winchester and .350 No. 2 calibres and were made for the Maharaja of Karauli. Three years ago, Rigby decided to resume production. To ensure that the new rifles would be true continuations of the Rigbys of the past, the team reverse-engineered an original Rising Bite that had been delivered to the Maharana of Udaipur in 1902. That pristine action has been replicated in modern, top-quality steel with state-of-the-art technology and a master’s hand and eye. The project to revive the Rising Bite has been personally overseen by Rigby’s Managing Director Marc Newton and head of production, Ed Workman, with valuable input from historian Steve Helsley and collector Davis Peterson. 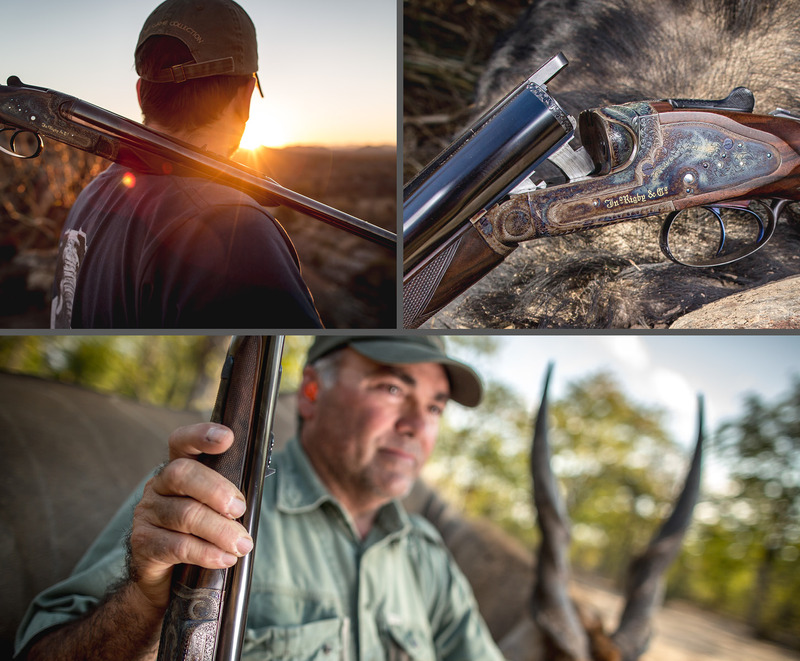 The first of the new Rising Bites – in .470 Nitro Express, featuring engraving by Belgian master engraver Roland Baptiste – was completed in December 2015 and made its debut at the Safari Club International Convention in February 2016. We currently have more than 30 of these double rifles in production in a range of calibres from .416 Rigby to .600 Nitro Express. All models are best sidelock ejectors with dipped edge lock plates and incorporate a number of premium features as standard, including: grade 7 Turkish walnut, mirror-bored chopper lump barrels regulated to 100 yards, traditional Rigby pattern full scroll engraving, carved folding leaves on fences, gold inlaid details, colour case hardening and London Best oil finish and barrel black.